What Different Roles Do Drums Play in Music? Most of us are familiar with how a drum set functions in the setting of rock and pop music, but different styles of music force the drum set to take on different roles. In pop music, drums provide a solid foundation with a driving, typically repetitive kick and snare pattern. Simpler beats make it easier for the other musicians in the band to work in their own parts. The main role of the drums is to keep time and back up the singer - very much a supporting role. But many other musical styles require an entirely different approach to the drum set, particularly Latin Jazz. This month at our drum school near Cambridge, MA, we're exploring the origins of hihats. As we know by now, the drum set didn't spawn from nothingness. It came into its modern form through years of experimenting with different configurations and sound options. But the hihats in particular have an intriguing story of their own. What Are Different Types of Drum Sticks? Which Drum Sticks Do I Need? Unbeknownst to many beginner drummers, there are dozens of different styles of drum sticks. Sticks are essential tools for drummers and we need to have different tools for different jobs. Even different sized sticks or different tip shapes lend themselves to different playing situations, and here at our music school near Brookline, MA, we want to show you all the different types of sticks you might be using when you play. Let's take a look at what a gigging drummer's stick bag may contain. At Boston Drum Lessons, we want to help our students buy the best kinds of drums for their needs. Whether you're a beginning drummer looking for a deal on a used drum kit or a seasoned collector of vintage instruments, researching different types of drums beforehand can prevent you from bringing home a heap of junk. This brief guide will help steer you in the right direction when buying used gear. What Are Different Types of Drums? Many drummers aren't aware of the different styles of drum shell construction beyond shaping wood into a cylinder and stretching heads over it. Various drum construction methods can really impact the sound (and price) of the instrument. Let's examine a few of the ways drum builders craft a variety of different drums. Over time, drum manufacturers have created a variety of "improvements" to standard drums, some of which didn't really catch on. Learn about the history of drums and the various types of drums tested over time. Sadly, cymbals aren't always able to endure the continuous beating we dish out to them. When cymbals are hit too hard or with poor technique, cracks can form in theedge or the bow of the instrument. These cracks only get worse with continued use, eventually resulting in a hideous rattle each time the cymbal is struck. This rattle is caused by the two edges of a crack rubbing against each other. Large cracks can greatly reduce a cymbal's sustain and even change its tone entirely. Most drummers will stop using a cracked cymbal once the rattling becomes too much to handle, but there are ways to repurpose and even repair damaged cymbals. Oddly enough, repairing a cymbal requires cutting a chunk of metal away from the instrument (if a crack is in the edge - bottom left picture), or drilling holes in each end of a crack (if the crack is in the bow of the cymbal). The goal is to prevent the crack from spreading further. Welding a crack shut WILL NOT WORK. Bronze is a soft metal compound and welds will split very quickly when exposed to the brutality of a drumstick. However, gouging a chunk out of a cymbal may not be worth the effort if the instrument is of lower quality. If that's the case, cymbal stacks are a great way to repurpose cymbals while adding a nice trashy effect to your setup. Just combine two or more cymbals together on a stand, use the wing nut to control the sustain, and voila! You got yourself a new, unique texture at your disposal. The stack pictured below to the right consists of an 8" splash sandwiched between a severely cracked 10" China and a severely cracked 10" splash. It has a short, sharp, gritty sound and functions nicely as an auxiliary hihat or accent piece. You may have heard of drummers burying cymbals to alter their sound or appearance, but does entombing a cymbal actually do anything aside from get it dirty? It seemsthere's no consensus on the matter. The idea is that burying a cymbal will speed the aging process of the bronze by creating a layer of oxidized copper, known as patina, which would otherwise occur naturally over many years of exposure to the elements. 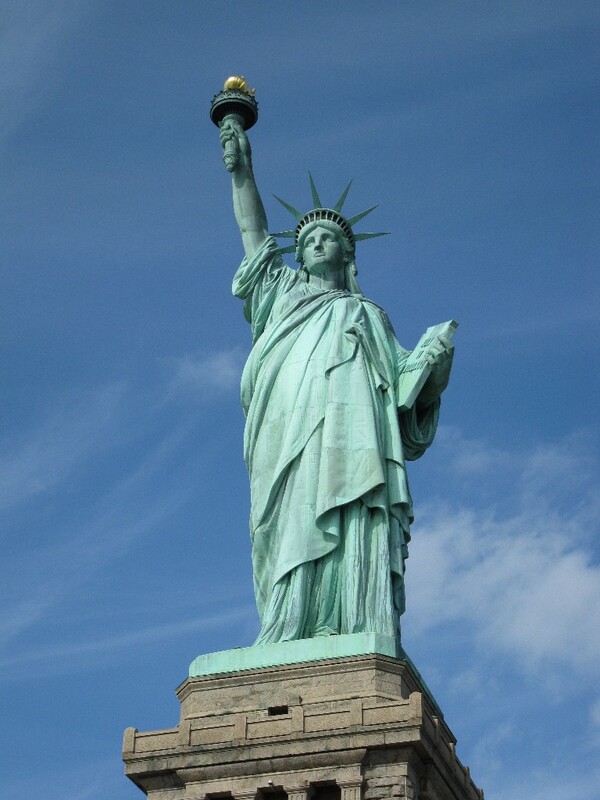 For reference, patina gives the Statue of Liberty its greenish color. This added layer of copper "rust" gives cymbals a darker, more focused tone, which is more characteristic of vintage cymbals dating back several decades.